Develop a systems pharmacology model linking the in vivo PK of a series of epidermal growth factor receptor inhibitors, to cellular tumor pharmacodyanamics, and to tumor burden in a murine model. 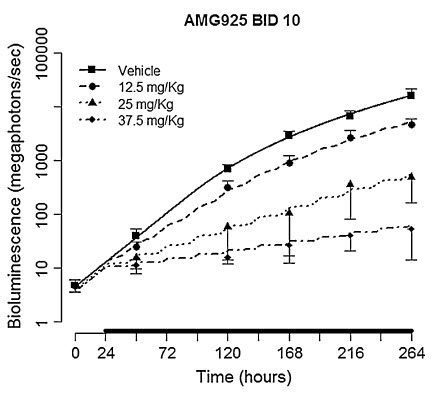 Develop a physiologically-based pharmacokinetic model for combination therapy involving both angiogenesis inhibitors and cytotoxic drugs in a rat glioma xenograft. 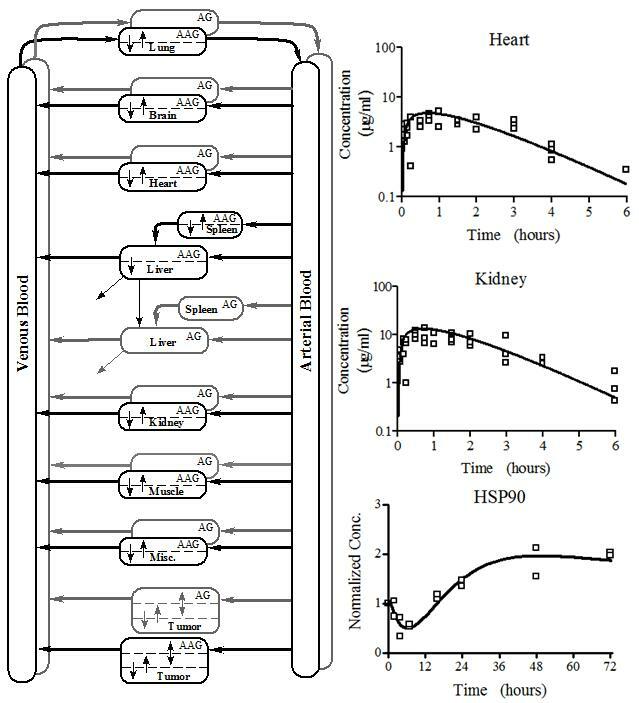 Using population modeling methods develop of a composite model of methotrexate kinetics focusing the mechanisms of hepatic metabolism, biliary excretion and renal elimination and the role of transporters. Study the pharmacokinetics and pharmacodynamics of the novel indenoisoquinoline topoisomerase 1 inhibitor, LMP400, administered on a daily x 5 schedule. Veliparib is a PARP inhibitor undergoing extensive clinical evaluation in glioblastoma, because it may synergize with the standard-of-care temozolomide. We will examine the important factors controlling veliparib efficacy in glioblastoma. 25-hydroxyvitamin D3 (25(OH)D3) levels are associated with increased overall survival in early stage non-small cell lung cancer (NSCLC), and it has been found to be converted locally in tissues by CYP27B1 into its active metabolite. This aim will investigate the role of CYP27B1 in mediating the anti-tumor effects of 25(OH)D3 in NSCLC. 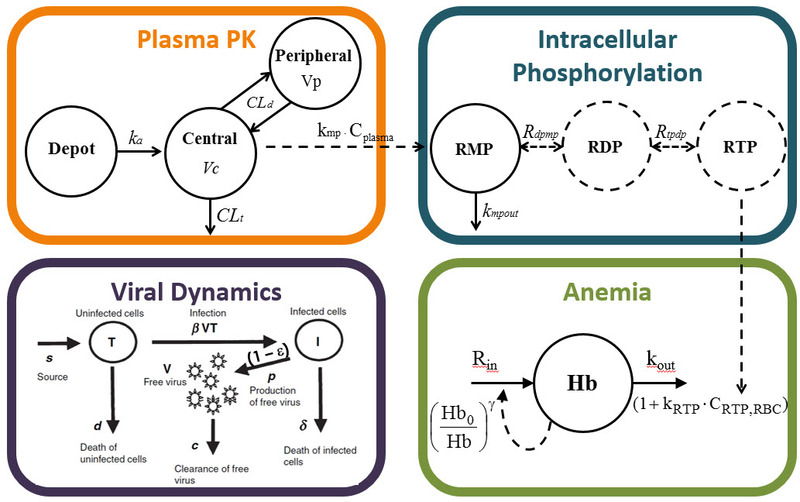 Develop a model for cellular metabolism of ribavirin that links the plasma concentration of the drug to the intracellular pharmacokinetics of the phosphorylated anabolites of ribavirin that mediate its antiviral and toxic effects. 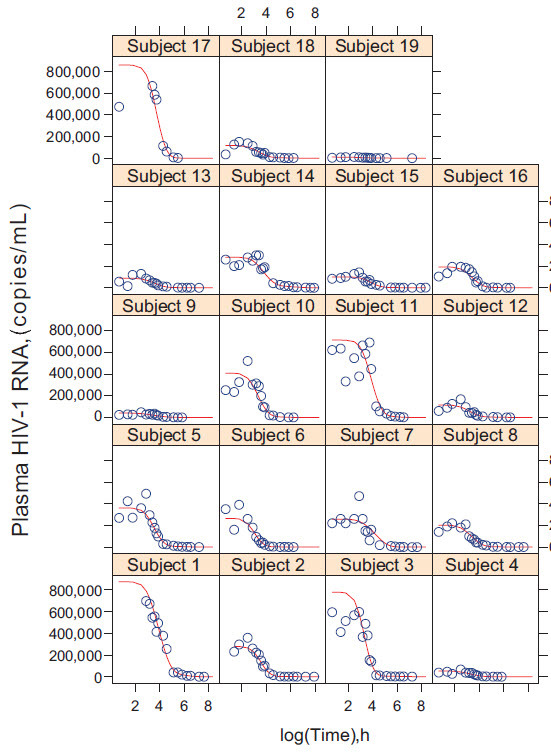 From the population model, identify response and toxicity relationships relative to plasma and intracellular ribavirin exposures. A Phase II study of oral valganciclovir versus placebo in infants will be conducted to evaluate antiviral treatment of infants with hearing loss related to congenital cytomegalovirus infection. A pharmacokinetic/pharmacodynamic and resistance evaluation of intravenous ganciclovir in premature infants will be used to evaluate the antiviral drug dosing in extremely premature infants with congenital or postnatal cytomegalovirus disease. A multiple ascending dose-finding pharmacokinetic and pharmacodynamic study of CMX-001 in infants with neonatal herpes simplex virus will be conducted to evaluate this novel antiviral drug for the treatment of neonatal herpes simplex virus disease involving the central nervous system.